I have just got back from a fabulous week in North Yorkshire with Region 10 of the IFA. I rode up (yes “rode” up, with my motorcycle stacked high with supplies!) to take part in a residential Masterclass with Dagmar Binder and 9 other students at The Old Mill in Skeeby. 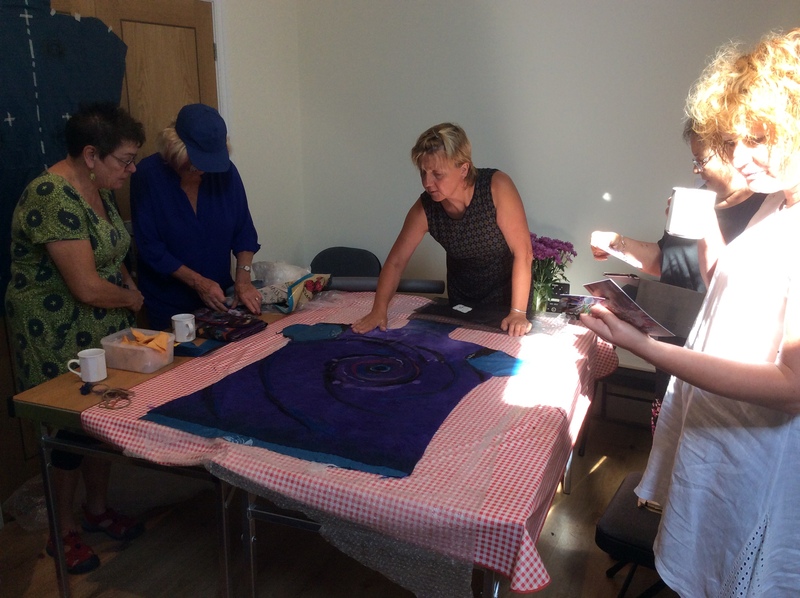 I am a huge admirer of Dagmars work and was thrilled to be taking part in her workshop. 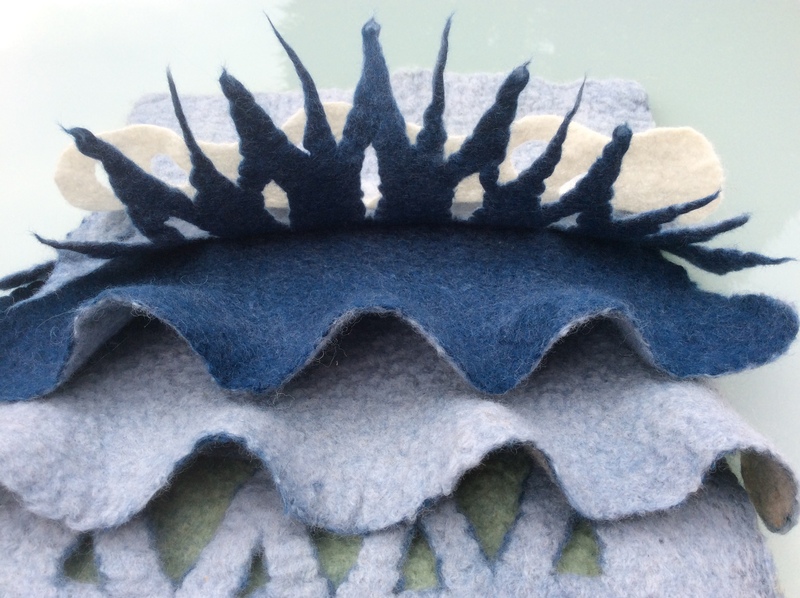 Over the three days we learnt such a lot about making a successful felt garment. 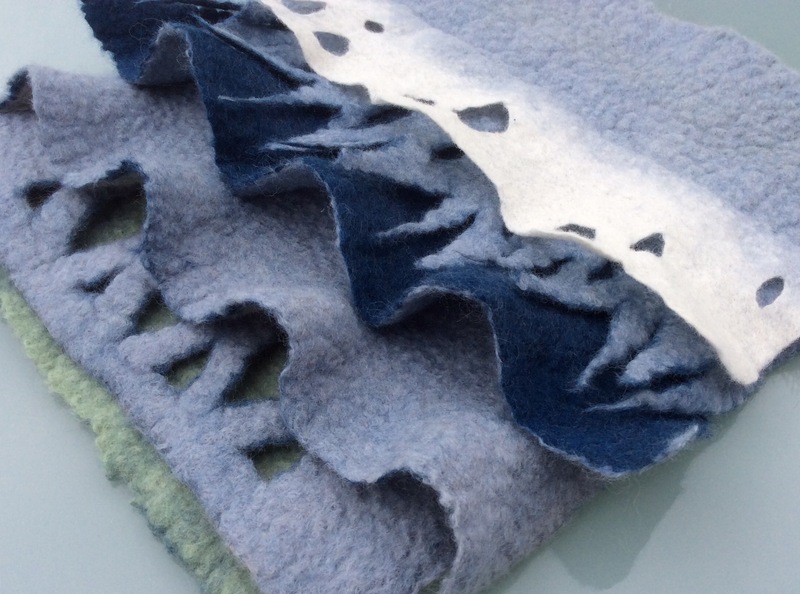 On day one we started with pattern making and then after lunch we made a small set of samples to explore the use of pre felt and how the direction of the fibres affect the finished piece. Completing the sample would help us to get to get to grips with our “collars”. Although only small this piece took quite some time to make and the majority of us ended up back in the studio after dinner in order to get it finished. Louise is the first to finish! It was an intense workshop with the majority of us working late into the evening, every evening, but it was so worth it! 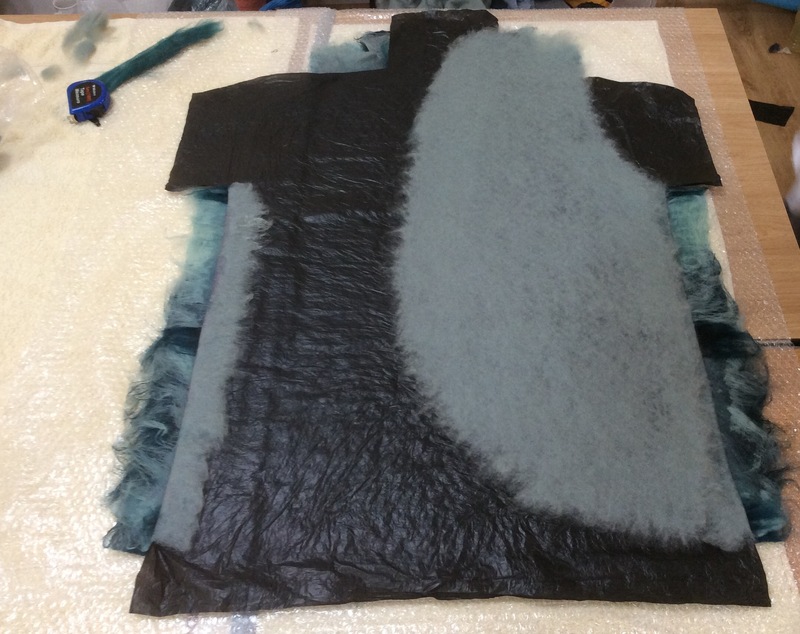 I had intended to create several more collars on my waistcoat but soon realised that the work involved, for me, was too much to fit into the time scale we had. 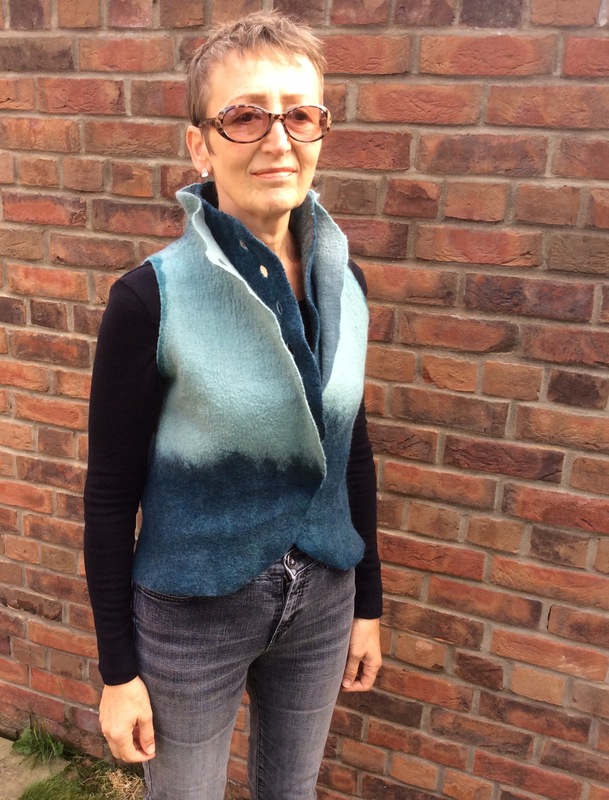 My finished waistcoat isn’t perfect but I am confident that I now have the skill to know where and how I can improve when I make my next one. A big thank you to Dagmar, Iris and everyone I met in Skeeby for making this such an enjoyable experience. 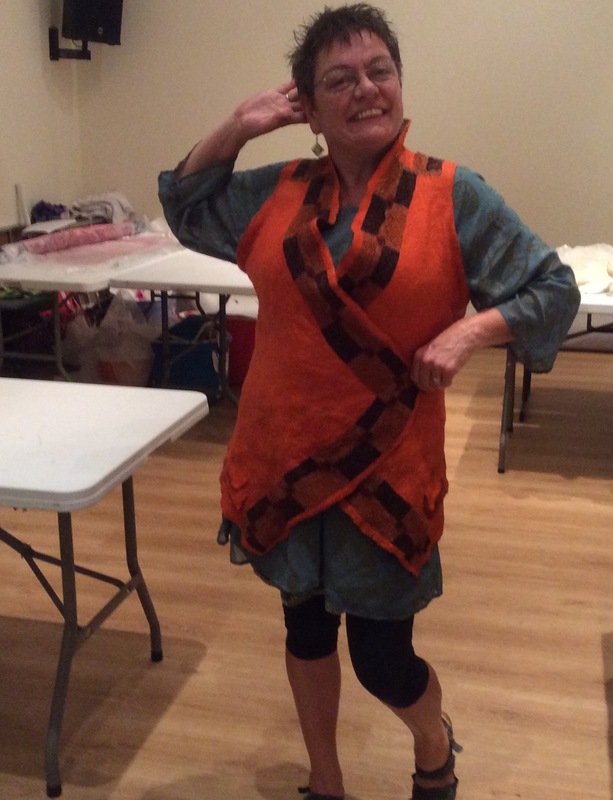 Looks like you had a great workshop with Dagmar too! 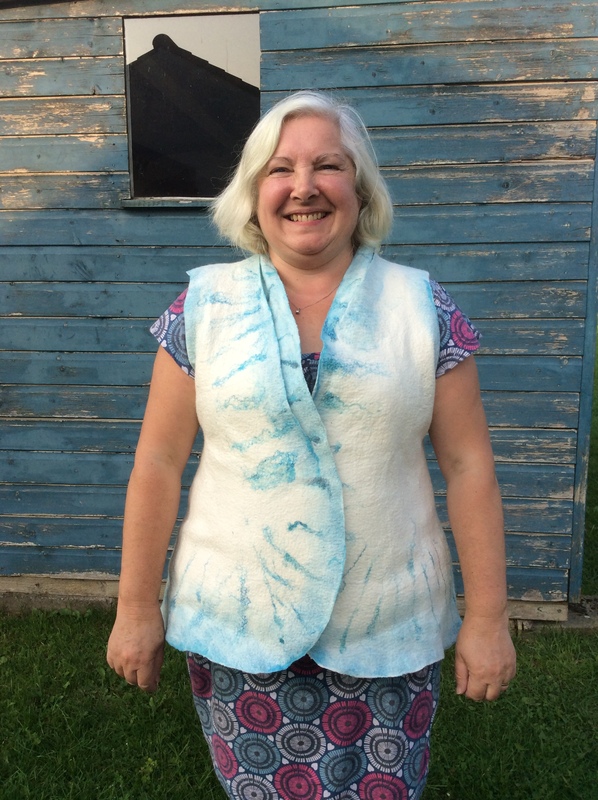 We only had two days so weren’t able to make waistcoats – but yours turned out great! Yes it was a great workshop but we would have been in trouble if we hadn’t been able to access the studio in the evenings! I took a look at your blog blog post and it looks like we learnt the same techniques of stabilising and the different types of layout, etc…….so many possibilities. It looks like a great class. 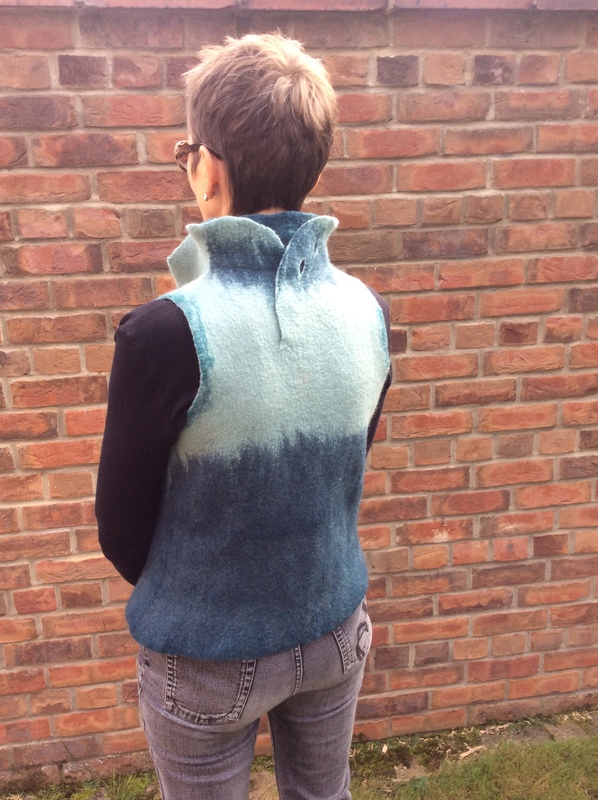 Your sample is great and your waistcoat is fab! Thanks for sharing. It looks like everyone was happy with their finished pieces. Thanks Marilyn. 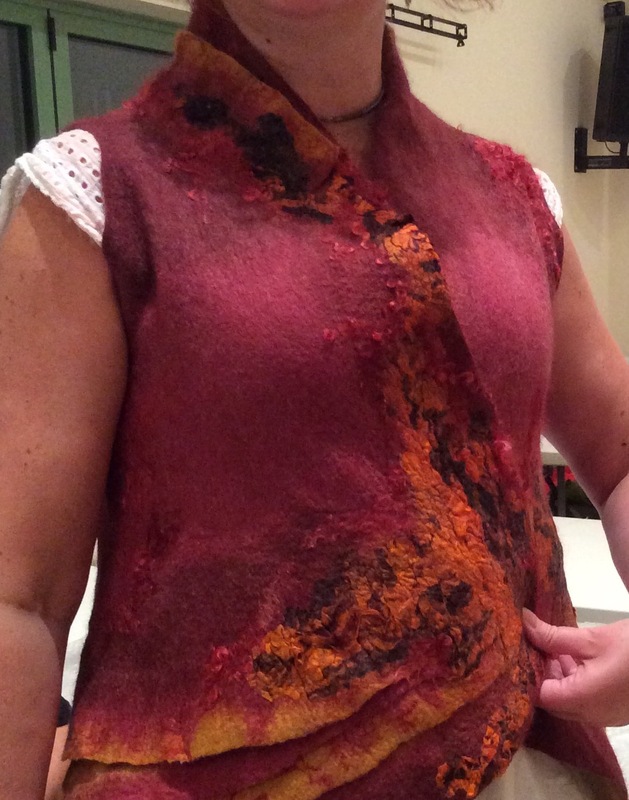 Everyone was very happy and it was great to see the waistcoats all turned out so different. I love your sample piece! And your waistcoat turned out beautifully. 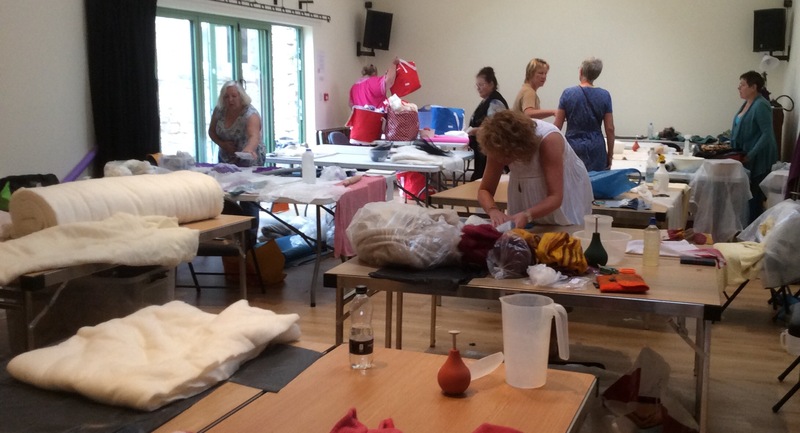 Looks like a wonderful workshop! Thanks Ruth. This workshop has really inspired me to work bigger and to experiment more! Thanks Sheila. It was exhausting but I learnt such a lot!